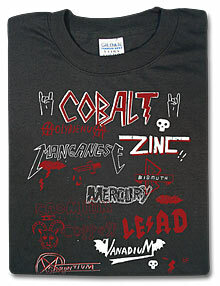 Heavy Metal started out as a simple chemistry term referring to the weight of certain metals. Somewhere along the way, Heavy Metal became far more sinister. And dark. And awesome! Disclaimer: This is by no means a comprehensive guide to the history of metal; it has been abridged to fit your screen and the author’s opinion. So if you think metal begins and ends with Ronnie James Dio, please do not send an angry horde of Dragons to change my mind. In his 1960’s Nova science fiction trilogy, William S. Burroughs created a character named “Uranian Willy, the Heavy Metal Kid.” Unfortunately, Willy does not sport a power bracelet or don a heavenly mane of Viking warrior hair. He doesn’t even have a cutoff Maiden shirt. But that’s okay Willy, Maiden didn’t exist yet. Burroughs went on to use the term “heavy metal” in Nova Express (1964). It was definitely not in reference to music, but used as a metaphor for addictive drugs. Although it’s not referring to heavy metal as music, it is referring to motorcycles and that’s pretty metal. Influential American journalist, Lester Bangs, first applied the term Heavy Metal to music, specifically to the sounds of Black Sabbath. Generally speaking, heavy metal was born out of bands like Black Sabbath and Led Zeppelin, who wrote songs that dealt with darker and arguably dorkier subject matter. Songs about Mordor? Really? I still can’t believe the amount of cut up that Robert Plant has gotten over the years despite the fact that he wrote plenty of songs about Lord of the Rings long before Peter Jackson turned the world upside down with the film trilogy. Dorky or not, the subject matter was a definite departure from traditional pop songs like the, “I love you baby” and the “I love everyone cuz/ I’m soo high right now” format of the Flower Power kids. “We arrived at the height of the Vietnam War and on the other side of the hippie era, so there was a mood of doom and aggression,” Black Sabbath guitarist Tony Iommi told writer Chris Welch in 2003. I recently saw Heavy Metal in Baghdad, a documentary about, you guessed it, a heavy metal band in Baghdad named Acrassicauda (Latin for Black Scorpion). The documentary was sponsored by uber-hipster Vice Magazine. These guys are so dedicated to the idea and lifestyle of heavy metal that they were doing shows in Baghdad with a full-blown war going on outside. How metal is that? Fantasy Metal, Thrash, Grindcore, Black metal, Death Metal, Doom Metal, Drone Metal, Folk Metal, Glam Metal, Gothic, Groove, Industrial, Metalcore, Neo-Classical, Nu Metal, Post-Metal, Power-Metal, Progressive, Sludge, Speed, Stoner, Viking Metal, Rap Metal, Christian Metal, Avant-garde Metal, Extreme Metal, and the list goes on and on my friend. This guy took it one step further and made a graphic organizer of heavy metal band names. Check it out here, if you dare.